This item documents the 1923 meeting in Columbia, S.C., of the Bishops’ Council of the African Methodist Episcopal Church. 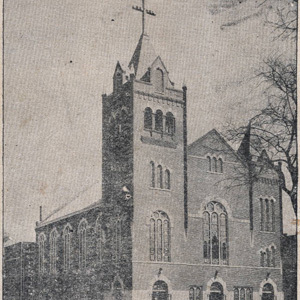 The session convened at Bethel A.M.E. Church, the impressive, masonry structure built in 1921 at the corner of Sumter and Taylor Streets. This publication is significant for its portraits and biographical sketches of African American ministers and their wives from around the United States.